As a Fort Wayne native and a lifetime resident, Greg Adams has a vast knowledge of the area and local community. As a result, Greg has a unique perspective on the city and what it has to offer. His exceptional ability to think outside the box when a situation requires a unique and innovative solution makes him a top producing realtor. 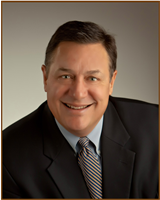 He has over 40 years of experience, numerous awards and an impressive record of being in the top 1% of his field. Whether you are new to the market, thinking of moving up, or even an experienced investor, Greg has the expertise, energy, enthusiasm and resources to help you achieve your goals. With 40 years experience in real estate and over 2,000 homes marketed and sold, Greg’s works to protect the interest of his clients. You can expect individualized attention from Greg. Greg lives by his motto, “Putting your needs first is top priority!” Call today for your personalized attention 260.433.0844! See below for some of Greg's reviews. Additional reviews can be found on Greg's profiles on Realtor.com, Zillow, Trulia and Century21.com.